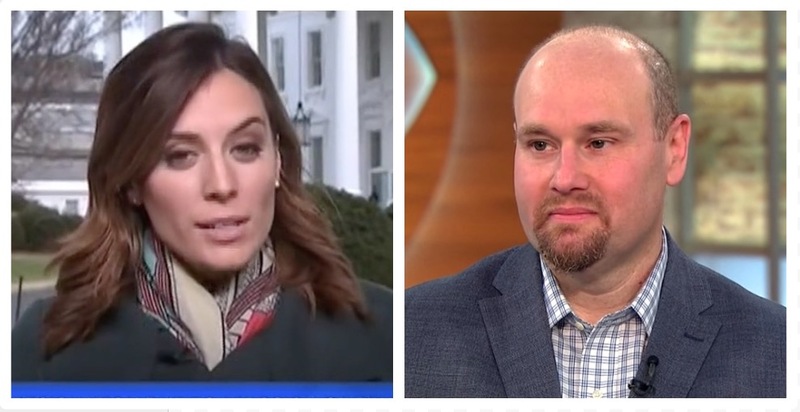 Either no one in the booth let Hallie Jackson know she was live on the air Tuesday afternoon, or she just straight up hates Glenn Thrush. MSNBC’s post-White House briefing coverage featured a five-person panel — in which Thrush and Jackson took part — fielding questions from host Katy Tur. When it came Thrush’s turn to breakdown Sean Spicer’s latest performance, all of the other panelists listened, nodded and agreed with the New York Times’ White House correspondent. That is, all of the other panelists except Jackson, whose eyes remained glued to her phone.